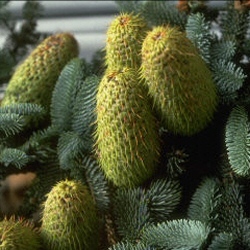 The Noble Fir Tree, its Latin name is Abies Nobilis or perhaps confusingly also known as Abies procera is native to the western seaboard of North America. An attractive conical shaped tree, Noble Fir has beautiful large branches and leaves, which are a blue-green colour on the topside. Amazing pint-sized cones are present on the tree some years. Used as a lesser commercial forestry species in Britain, this tree is popular as a Christmas tree because of its fine form, blue-coloured needles, as mentioned above and needle retention abilities. Particularly tolerant of cold conditions and expect a final height of 47m (157ft). 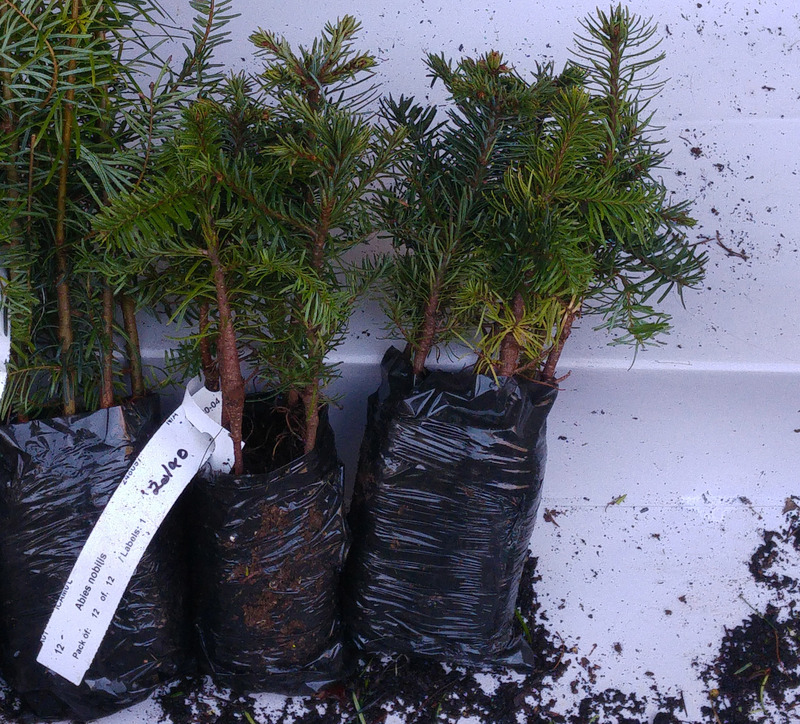 As Noble fir are quite fast growing, especially when very young, we hold off on the fertiliser in late Summer and Early Autumn so they do not put on lots of tender new growth that could be affected by a harsh winter. This means that at certain times of the year you may receive trees that have less than a vibrant green colour to them. This is perfectly normal and they will quickly green up again in the coming Spring. Typically, Noble Fir may be planted as an individual tree or as an avenue of trees. Estate and Policy Woodland plantings from the 18th Century often found this tree planted along with other North American conifer species. Today, 150 years later these trees form an amazing sight and we think that this tree worthy of planting to achieve the same effect for future generations.